DE KALB- Every college basketball team plays an exhibition game or two before the start of the regular season, and the Northern Illinois Huskies are no different. But it’s not often that NIU dominates the way the did against Roosevelt on Saturday night. As the Huskies cruised to a 71-44 victory, they did it with suffocating defense and just enough offense. In the first half, Northern held the Lakers scoreless through the first 10 minutes and 30 seconds of the game. They only allowed 11 total points for the entire opening frame. Fortunately what they lacked in the perimeter game was made up for with other attributes. The Huskies outscored the Lakers in the paint 44-10, and their size advantage led to 20 total Roosevelt fouls resulting in NIU’s conversion 15-of-24 free throws. RU just didn’t have the depth or bodies to contain a physical NIU program. On the defensive side; NIU out-rebounded RU 53-29, forced 24 turnovers (including 11 steals), and blocked four Roosevelt shot attempts. 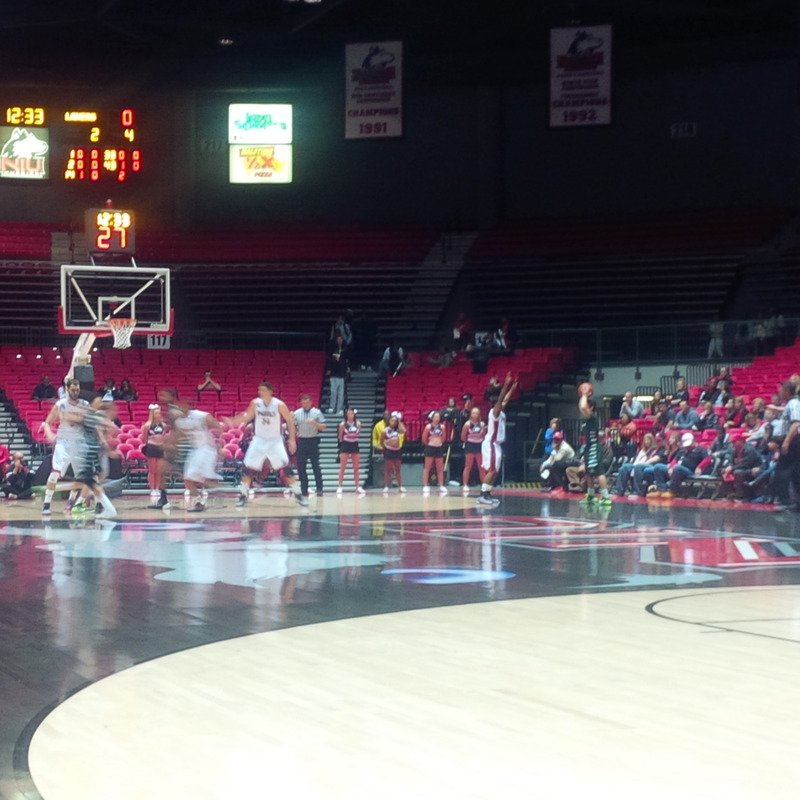 NIU senior center Jordan Threloff (Tree-loff) led the way with 15 points and 10 rebounds to go with a blocked shot and a steal. He was part of an overall solid performance by the Huskies front line. Threloff along with forwards Darrell Bowie (junior), Chuks Iroegbu (RS-junior), Keith Gray (RS-junior), and centers Marin Maric (RS-freshman) and Pete Rakocevic (Rack-o-sevich) (fifth-year senior) combined for 40 points, 31 rebounds, all four blocked shots, and eight steals. After the game Threloff reminded us that this is just the beginning of a long season.